So you want to start your own business. Maybe you're really knowledgeable and passionate about something, or you've found a way to fill a gap in the marketplace. 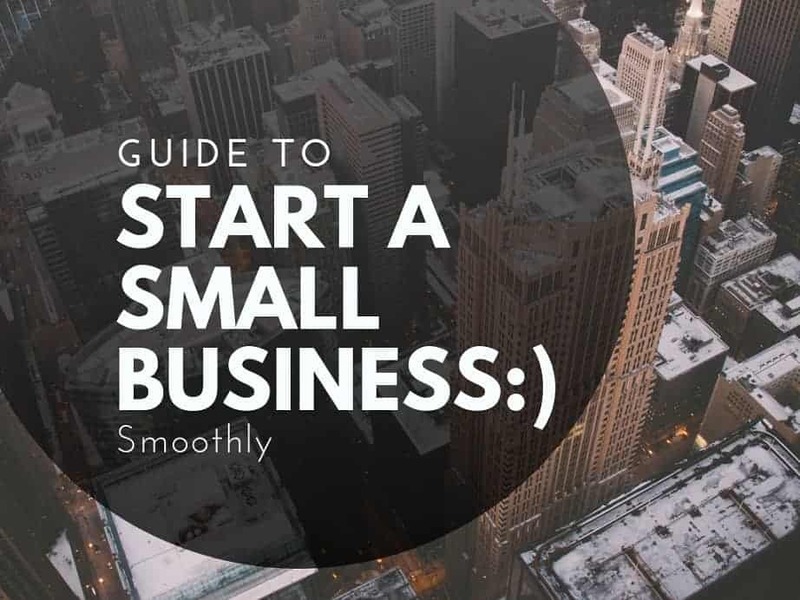 Here is the Important steps to start your Business from Scratch. Do you think you have a unique small business idea, but you are not sure what to do? Always remember, the way to get started is to quit talking and start doing. In this article, we are going to create a 10-step map for you to help start your own business. You would also need to answer the following questions to actually see in what position your startup is going to be in the market. o Demand: Is there a want for your product or service? o Market size: How many people would be interested in your offering? Particularly, for what type of people is your product or service. Is your product part of a niche market? o Economic indicators: What are the income range and employment rate? Employment rate and income range are crucial for you to decide the type of people who can afford your product and what price you are going to charge them. o Market saturation: How many similar product/services are already available to customers? You might also need to do surveys and extensive research to answer the above questions. You can use the results of already researched topics, or conduct first-hand surveys on your own. Conducting surveys can be difficult, expensive and time-consuming. Moreover, in order to make your startup successful, you need to make a competitive analysis to find a market advantage to make you look different than your competitors. Sun Tzu said, “Know your enemy and yourself, and you shall win a hundred battles without loss.” So make sure you know the strength and weakness of your competitor and plan accordingly. Make plans and layouts of everything you want to do and how you plan to do. It is very crucial that you make plans before everything you do. You have to have the end result in mind to start. This will mainly work as a blueprint of your business. You need a business plan to monitor your business from the start-up period through the establishment and eventually business growth. You will use your business plan as a roadmap for how to structure, run, and grow your new business. The business plan can be of two types: traditional and lean. Traditional plans can be useful if you are approaching investors for funding of the start-up. This type of business plan is generally detailed and has a common set of segments that financiers and banks look for when they are certifying your idea. If you do not need funding you can make a lean plan for your business so that you have a clear vision of your business. It can be really short, just enough for you to understand. Starting a small business will include some early investment as well as the ability to pay off the expenses before you are generating profit. Be sure to estimate the one-time startup costs for your business (e.g.-licenses and permits, equipment, legal fees, insurance, branding, market research, inventory, trademarking, grand opening events, property leases, advertising, and brand promoting). Also, take into account the day-to-day expenses that keep the business running for at least 12 months (rent, utilities, marketing, and advertising, production, supplies, travel expenses, employee salaries, your own salary, etc.). All the expenses combined will be your initial investment required for the start-up. The main aim is to work through the alternatives and create a plan for setting up the capital you need to get your business started. Your small business can be a sole proprietorship, a partnership, a limited liability company (LLC) or a corporation. The business type you choose will impact many factors such as the business name, liabilities, tax calculation and many more. Based on the complexity of your business, you may consider consulting with an advocate or CPA to ensure you are making the correct choice for your start-up structure. Your business name has a huge impact in attracting the customers and in almost every other aspect of your business, so make sure to pick a name that defines your product/service that you are offering to your potential customers. Also, cross-check if the name you have chosen for your business is already registered. If the name is not registered, then register the name for your business. The legal procedure such as trade-license and permits for the start-up is a part of the procedure. You will need to research what licenses and permits apply to your business structure during the start-up process. In order to keep track of the business revenues and expenses, you need to choose your accounting systems. Your accounting system is essential to create and manage your financial plan, set your rates and prices, conduct business with others, and file your taxes. You can appoint a bookkeeper or do the book-keeping yourself. The location of your business is very vital. You will need to consider about your location, equipment, and overall setup, and make sure your business location works for the nature of the business you will be doing and is able to attract the potential customers. You will also need to consider if you need to buy or lease your commercial space. A business cannot be run by a single person, it needs a team to help run the daily operations of the business. So, make a list of the type of employees along with their job description that you will be needing for the business. If you do not want to hire staff, you can outsource your work to other agencies on a contractual basis. Employees can be an intangible asset for the business in the long run, unless you operate your business online, having employees for specific jobs can be good for your business and also help develop good relation with customer. Once everything is ready and you have launched your business, you need to start attracting clients and customer by promotion and advertisement of your product/service. Set up a marketing team and explore as many promotional options as you can both offline and online since promotion is crucial for a business in its early stage. Once you have accomplished these business start-up activities, you will have all of the most important aspects covered. Keep in mind that success doesn’t happen overnight. You have to strive hard to get the taste of success. Keep working on the plans you have for the booming of your business, and you will escalate the chances of your success. Many Entrepreneurs have Fear of Failure due to many reasons but if you have planned Your marketing and before starting Business Activity then you get Chances of your Business Success. Here is the Very Useful Infographic which gives you ideas to Overcome Fear of Starting a Business.